Court Care - Blackburn Tennis Club Inc. If courts are dry they must be watered from fence to fence before commencing play. Courts must be bagged and watered (if dry) at the end of each set. If only hitting up then every 30 minutes. Courts must be bagged and watered. 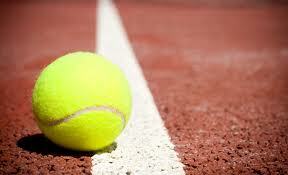 Correct tennis shoes are very important when playing on red porous tennis courts. Shoes must be flat and have no raised heel. Dunlop Volleys are an ideal inexpensive tennis shoe for red porous courts. They have a herringbone sole pattern and no raised heel.